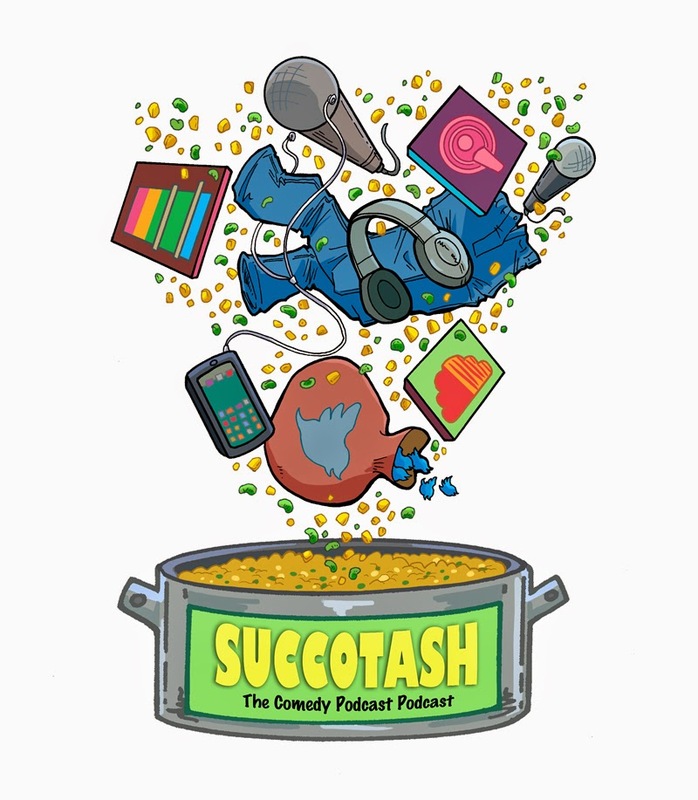 Succotash Epi100: Sayin' Adios To Season One! First off, I'm kicking off this Epi100 show blog by revealing the all new Succotash logo for Season 2! Designed by Page Branson, co-host of the Level 7 Access podcast, this spiffy new look will soon be available in the Succotashery on shirts n' stuff. Okay. So, my ORIGINAL plan was to do the first live Succotash show for Epi100 but the occasion was dovetailing with my wife and I making a move to a new place AND me making a move to a new job. I was also afraid that the thing would turn out to be not quite so tremendous an extravaganza as I was picturing in my mind. Instead, I planned a trip back to Studio P to visit with our Engineer/Producer Joe Paulino. We have a nice discussion in studio about where the show has been and where it's going, as well as a mini-state of the podcast form as it exists today. As we also discuss, Succotash has gone beyond having to rely on Joe to cobble together our nonsense but he is still my rock and my inspiration. Plus he puts together great stuff for our show all the time. 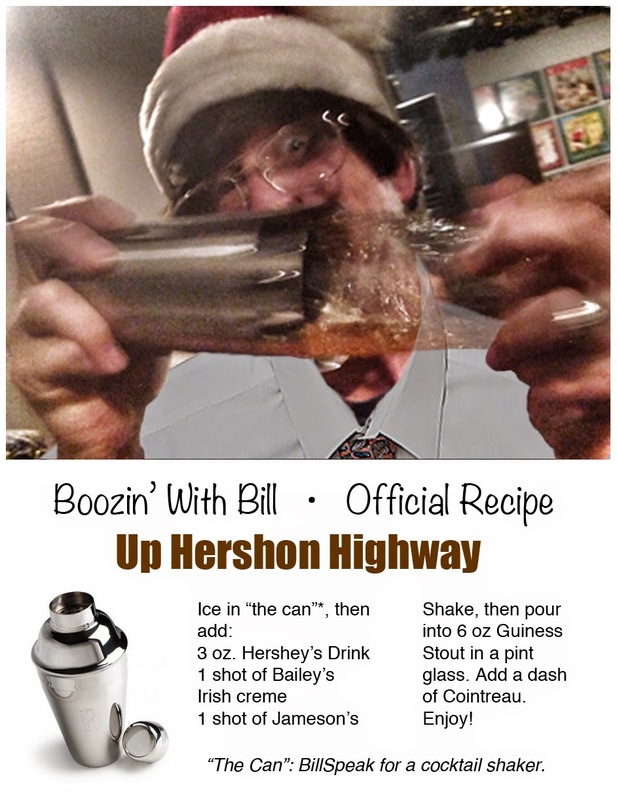 Coming up in this Epi100, our final show of Succotash, The Comedy Podcast Podcast, Season 1, we FINALLY have a new Boozin’ with Bill segment, wherein our booth announcer Bill Heywatt teaches me (and you) how to whip up a special concoction in honor of our centennial ‘sode of Succotash. Embarrassingly, it called “Up The Hershon Highway”. I include the formula here. Our sponsor Henderson’s Pants has created a new pantaloon specifically in honor of our 100th episode. We also have a double dose of political comedian Will Durst with our Burst O’ Durst. 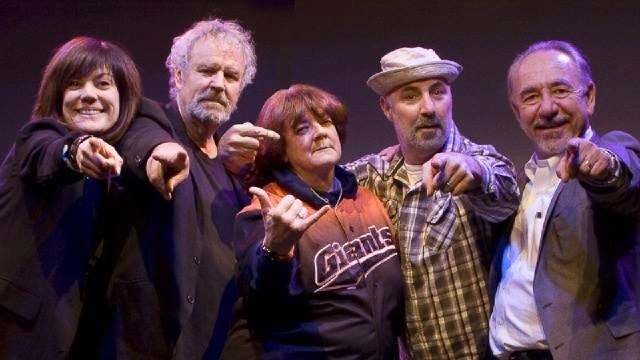 (If you're in or near the San Francisco Bay Area this holiday season, be sure to catch Durst and his cadre of comics who are appearing in the Big Fat Year End Kiss Off Comedy Show XXII December 26 - January 3, 2015. We’ve got some clips, as per usual - none of which have anything to do with our 100th episode milestone. Friend-of-Succotash Megan M recently made her first year as a podcaster with Epi26 of her own Screams & Moans podcast. Also known as @PodcastWhore on Twitter, she's been a big supporter of Succotash. And we’re glad to see her interest in the medium has turned into an avocation. Congrats, Megan! We feature a clip of her awarding the First Place Award to her Most Drunken Listener. Our Associate Producer Tyson found us this clip from the Urban Mamas podcast out of Portland, Oregon, where Ray Ann Peil and Kelli Martinelli say – via their website – that they are "out to change the world one swear jar at a time." Crammed into this clip are such topics as adoption, the aforementioned swear jars, and negotiating Halloween candy. Joining them as a guest is anotha mutha, Sabrina Williamson. We got a 100th episode congrats message in the Tweetsack from Mike Moore and the gang – Nappier, Travis, and Drunk – over at Wheelbarrow Full of Dicks. It reads: “First off, congratulations on the milestone over there. 100 episodes is an impressive number. We appreciate all that you do." And they included a clip from a new segment on their show called "Romance Is Dead." It's basically a sit-com featuring a suburban dad in a post-apocalyptic world whose family who were all bitten and turned to zombies. Thanks to Podcast Dan and Adam Wolf for their congratulations message. 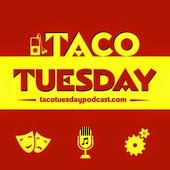 They also included a taste of their Taco Tuesday podcast. These guys do a real combo platter of stuff: tech, music, and comedy. And it’s the only podcast I know of – so far – booming out of Killeen, Texas. In this clip from their Epi16 – it goes back a bit to Thanksgiving time – they’re talking whether to brine a turkey or not, and whether deviled eggs are better with Miracle Whip or mayo. Sometimes the best way to lure in new listeners, as well as to make your show stand out from the crowd, is to give your podcast a high-falutin’ name. 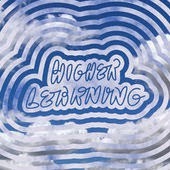 Seems to work for The Higher Learning Channel, out of New York City and hosted by Ginzilla and Matthew Sire. 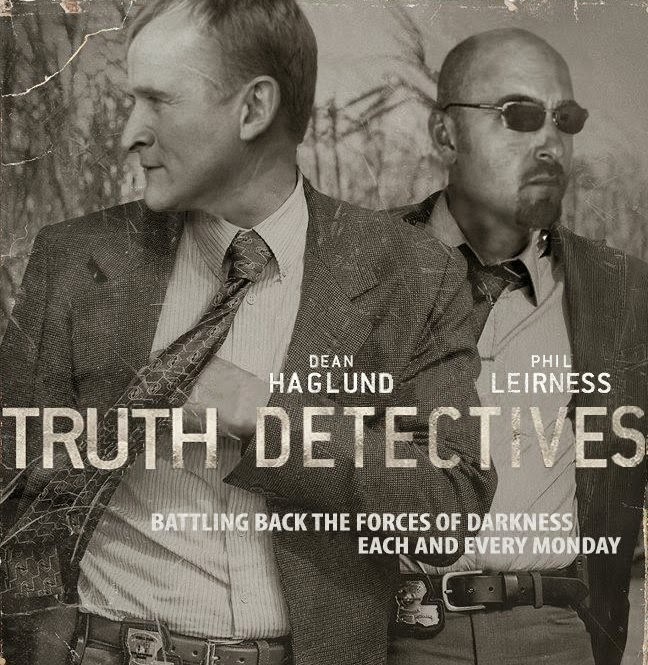 It’s just a cover for another pop culture-based podcast, one which features – according to their homesite – “Weirdos. Creatives. Podcasters.” In this clip from Epi14, their guest is comic book creator Pat Reilly and they get into the art of drawing dicks. Yeah, dicks. But classy, comic book dicks. That’s it! The end of Succotash, Season One! 100 episodes, presented in order and in their entirety. (Plus a handful of mini "halfisodes"…) If you missed any, you should be able to dredge them up at our homesite, http://SuccotashShow.com. Starting with Episode 101, we switch to our new split format, where shows will either be Succotash Clips or Succotash Chats. And with any luck at all, we’ll start getting them out on a regular basis. Thanks so much for being part of our first season. Hope you’ll stick around to see where we go next with the show. And please remember to pass the Succotash!